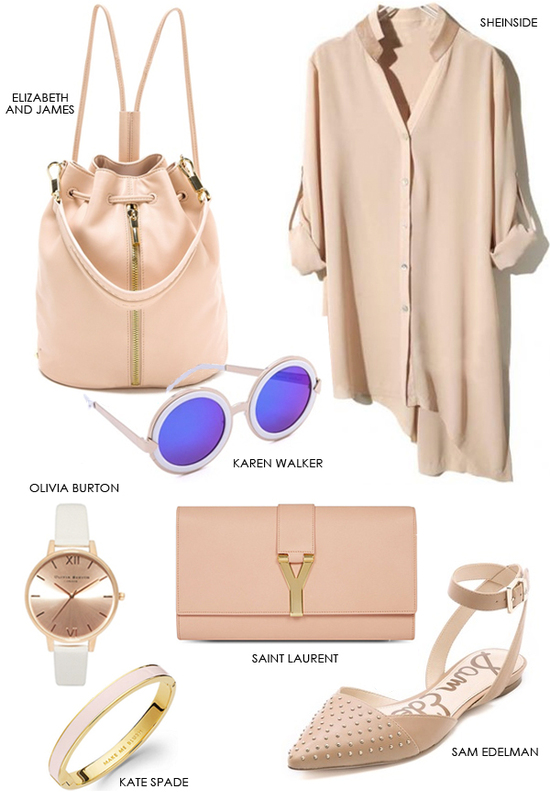 Spring feels like it's just around the corner, which is making soft blush tones seem all the more appealing. From loose layers and studded flats, to bags and the most amazing Karen Walker sunnies I've ever seen (right?! ), I'm crushing on this colour palette and in a big way. In fact, the minute I'm not quite as deathly white, I'm going to be all over it... who's with me! That sheinside blouse is beautiful!